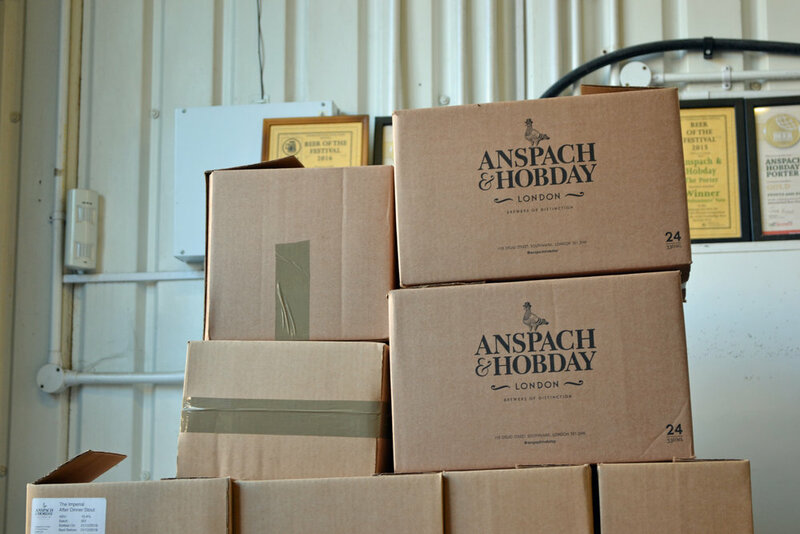 Situated under a cramped railway arch in Southwark, Anspach & Hobday doesn’t look much like the location of a brewery currently selling beer to Italy, Belgium and across the UK. 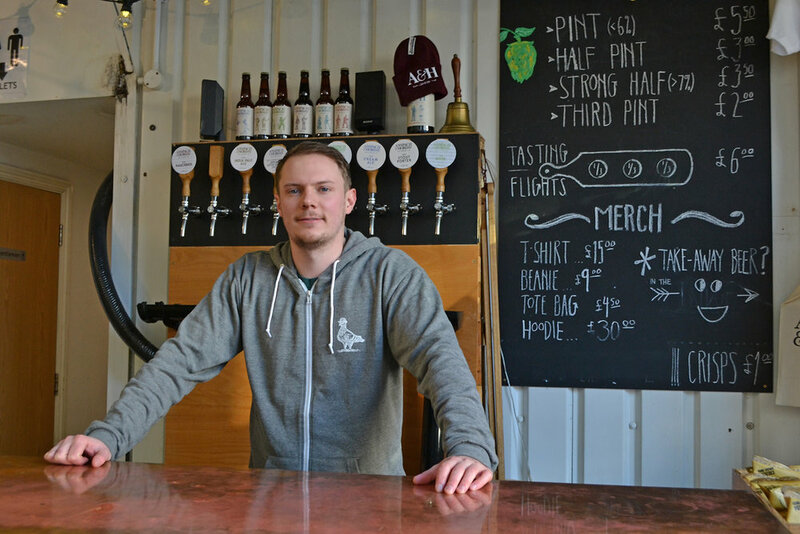 In just over three years, owners Paul Anspach and Jack Hobday have transformed themselves from aspiring homebrewers to the owners of a brewery with the potential to produce up to 1,100 litres of beer. 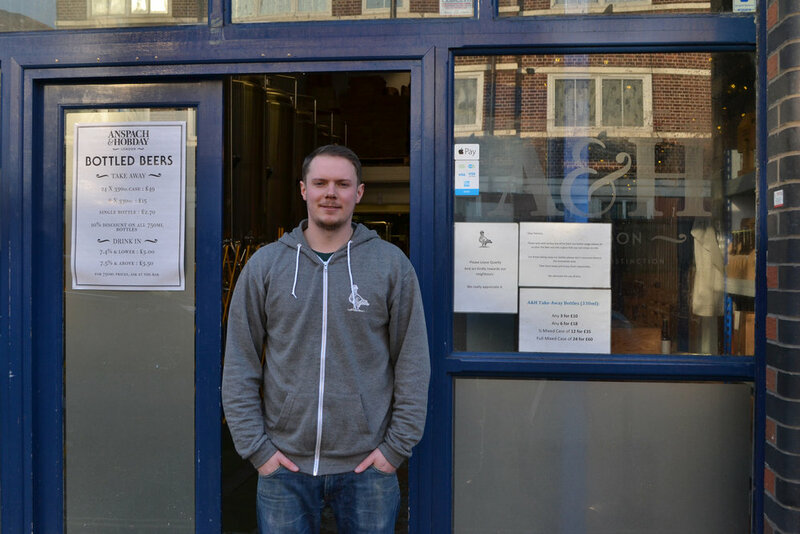 Ahead of their third birthday in March, I meet up with Jack to find out the story behind their success, and discuss their plans for the future. When I arrive, Jack is rushing around setting up the brewery’s taproom, which opens every weekend to let punters drink on-site, but immediately drops everything to greet me with a welcoming smile and offers me a beer. It’s only just past midday, but it feels rude to refuse. “I’d recommend the Gose,” he says, pouring me a small sample, “It’s only 3.9 per cent and very refreshing.” As I take a sip, I’m inclined to agree with him. I reach for my wallet, but he generously dismisses my money with a wave of his hand. As it turned out, Jack and Paul’s homebrews were pretty good. After receiving some positive feedback from Oz Clarke – a famous drinks writer and TV presenter – they decided to put what little money they had together (£150 each) and enter their porter into the International Beer Challenge, a competition designed for professional breweries. The beer won a silver medal. “I’ve always been really ambitious,” Jack says. “Anyone who is brewing has got to be aspiring to produce the best beer that they can.” He now predominantly takes care of the business side of the brewery, preferring to let Paul and the other staff produce the beers. 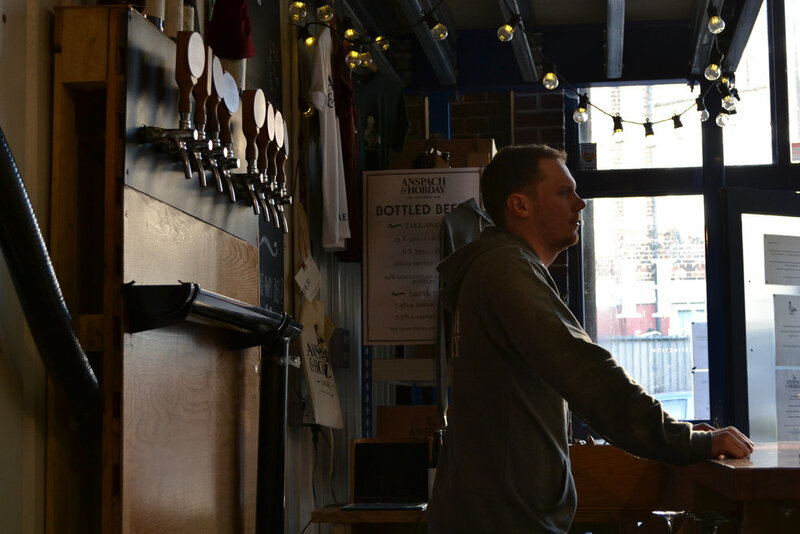 After raising the funds to buy a 100 litre brewkit via KickStarter, Jack and Paul set up Anspach & Hobday in Bermondsey, just a stone’s throw from the Shard. “I remember watching it being built when I was homebrewing and thinking I want to get our beer in there,” Jack recalls. The Gong bar at the top of the building now stocks Anspach & Hobday’s IPA and Porter, and has just taken on their Sour to use in one of their cocktails. “We knocked Guinness out to get that account,” he tells me, almost bursting with pride. Of course, Jack’s isn’t the only brewery in close proximity to the famous skyscraper. 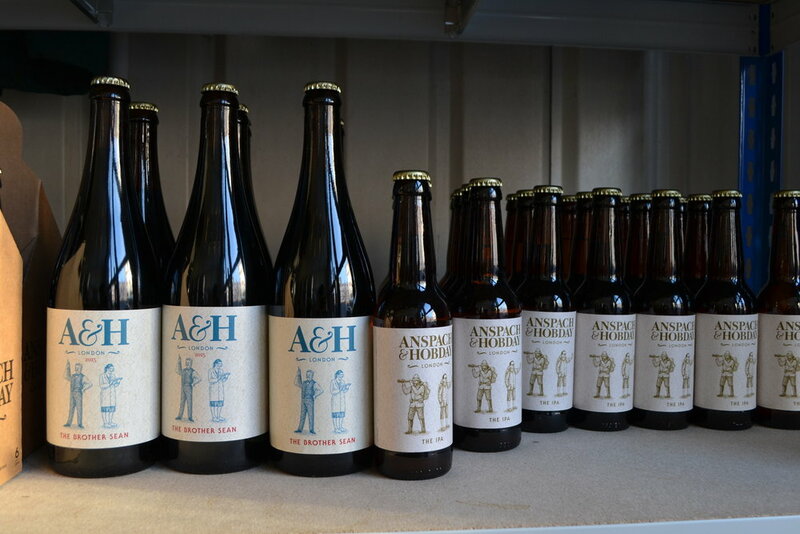 Anspach & Hobday forms a key component of the now infamous ‘Bermondsey Beer Mile,’ with Brew By Numbers, Fourpure, The Kernel, Partizan and Southwark Brewery all opening their doors on a Saturday to let punters taste their beer at its freshest. 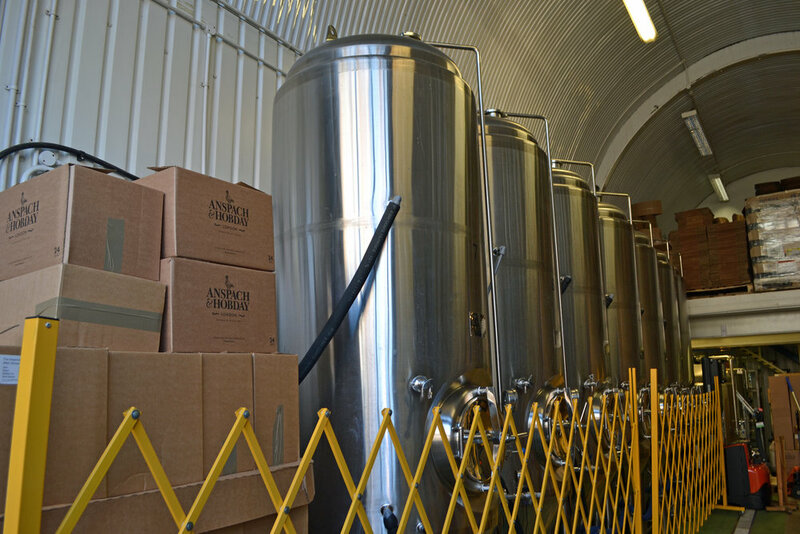 The brewery now employs five permanent members of staff, and has expanded their capacity eleven-fold from its initial 100 litre kit, installing new fermentors in June of last year to take enable them to produce up to 1,100 litres. "We’ve grown it quite organically," Jack tells me, "almost everyone who has worked with or for us has at some point volunteered and given an awful lot to help create the jobs we now enjoy." "The team is really important. Everyone really cares about the business, whether its Dylan and Dan in production or Patrick in sales or even just staff on the bar – they all know and love their beer. I think that Hunter Thompson quote really sums it up for me: ‘Good people drink good beer’ - they really really do." With the brewery’s third birthday in just a few weeks time, Jack is pleased to inform me that they have re-brewed their Three Threads beer for the occasion. Based on a traditional brewing method of three consecutive mashes of the same grain (treating it a bit like a re-used teabag) , The Three Threads is produced from the three worts of different gravities that come together for fermentation, and is thought to have inspired the birth of the porter (although this claim has been disputed by some beer historians). “Unlike our standard porter the Three Threads is much more toasty,” he tells me. “We use a lot more amber malt as opposed to the standard porter which uses the mordern method of predominantly pale malt with the addition of some dark malt.” The beer will be available from the brewery in large 750ml bottles in March. Moving outside of his own brewery, what trends does Jack think we are likely to see in the year ahead? "I think it might be a year where traditional styles become more in vogue," he says. "I think they are an important part of British heritage, and I hope to see styles like the best bitter getting a bit more recognition. I also think we're likely to see further focus on sours." On the subject of intentionally hazy, murky beer, a topic of much debate in the industry in recent months, Jack doesn't have a strong view either way. "I think there’s a few breweries that are producing some pretty hazy beer and have done for a while," he says, "so why its suddenly popular I don’t know. "I think that is a fad and that will come and go. What it comes down to is whether it’s a nice beer to drink or not, not how you’re dressing it up. I kind of believe the best beers will out." 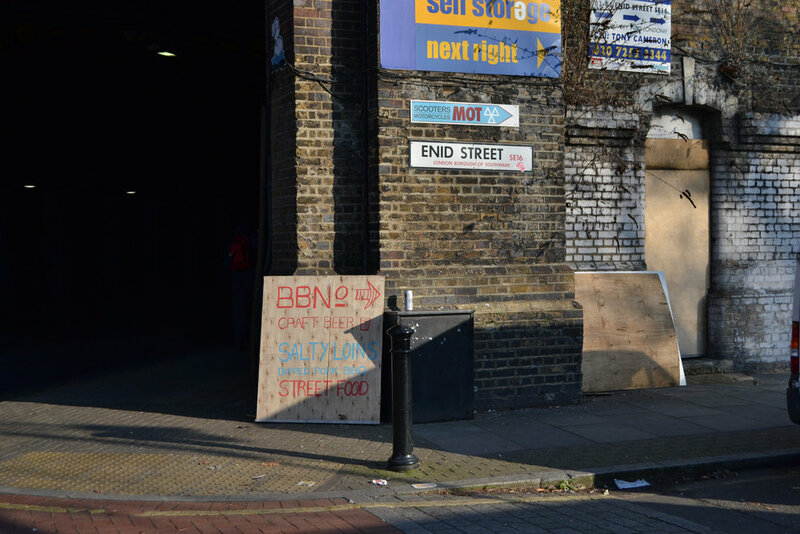 Looking to the future, Jack hopes the brewery will be able to retain their Bermondsey site, but accept this may be difficult due to rising rents. “This site might end up being more like a brewpub than a brewery,” he admits, “but we’ll adapt to the challenge. 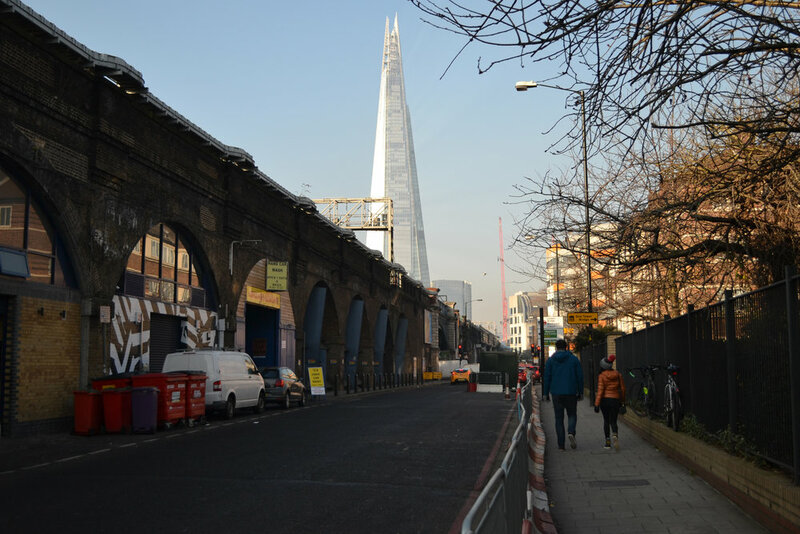 "These railway arches are a great outcrop of industrial heritage that goes right into the centre of London. 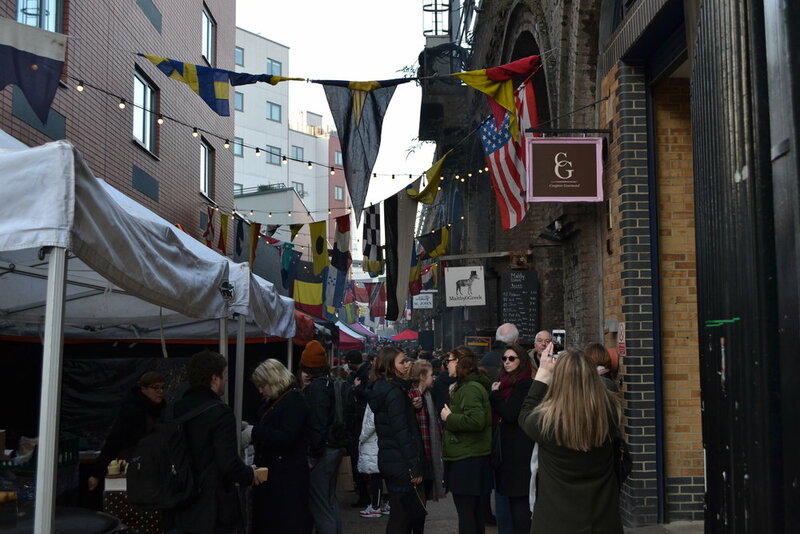 Years ago this area used to be known as the larder of London and that’s kind of come around again – you've got Neil’s Yard Dairy just a few doors down, and Maltby Street food market just around the corner. 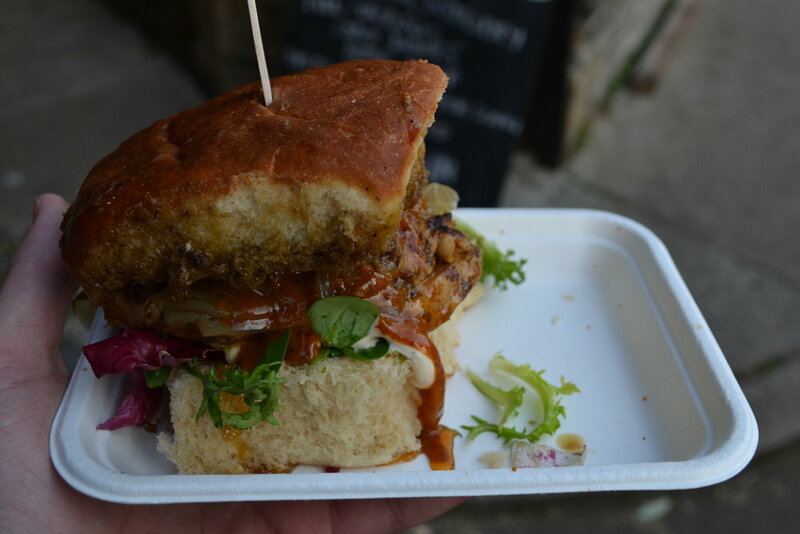 As I wander back up towards the looming figure of the Shard, stuffed full of incredible food from Maltby Street Food market and slightly woozy after an afternoon of drinking, I can't help but echo Jack's thoughts. 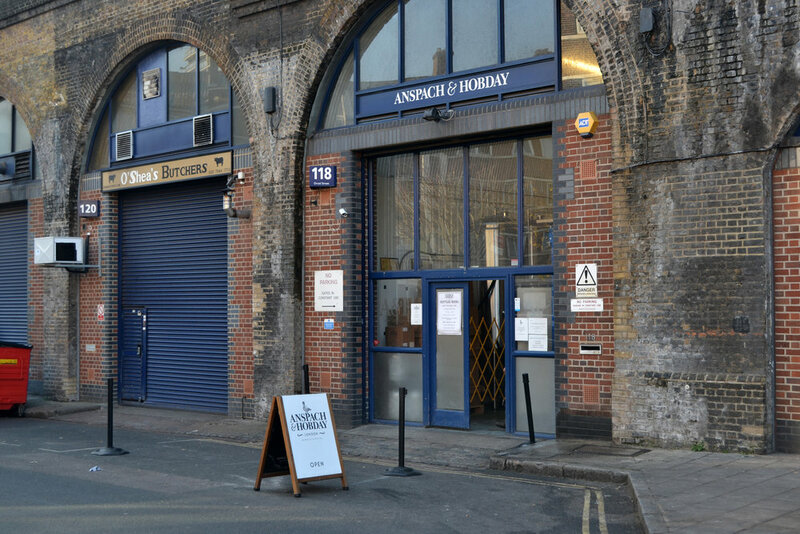 Bermondsey is a special place for beer and food right now, and if I were Anspach & Hobday, I'd be staying firmly put.